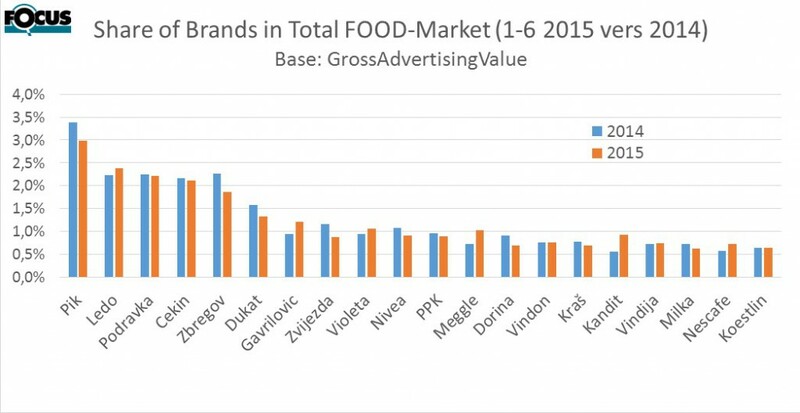 The analyzing of the first half year 2015 shows still the dominance of domestic brands on the Croatian promotion market. The No. 1 promoted brand is Pik, followed by Ledo and Podravka. The first and only international, global brand in the Top 10 is „Nivea“ with a share of about 1% of all promotion activities on the Croatian market. The brands within the top list with highest improvement 2015 to 2014 are Gavrilovic, Meggle and Kandit!